When you have something but might need it later, where do you put it? In the garage. Soon the garage is full of junk you haven’t used in several years and more than likely it’s outdated or obsolete. Where do you park your car? Not in the garage. Maybe garage clean outs should be higher on the list… maybe as high as #5. We are often able to find a new home for much of the garage junk we haul away because it wasn’t broken when you stored it, you just don’t need it – but someone else might. 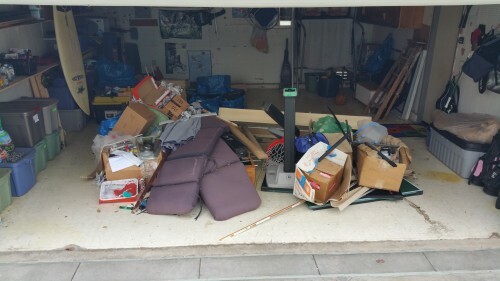 Typically, most garage clean outs fit into our 1/3 or 1/2 truck loads. There will be plenty of room for the car after we remove this pile of junk from the garage.